Get competitive quotes on outdoor advertising in The Magic City! Commonly known as the Pittsburgh of the South, Birmingham is a great spot for outdoor advertising. 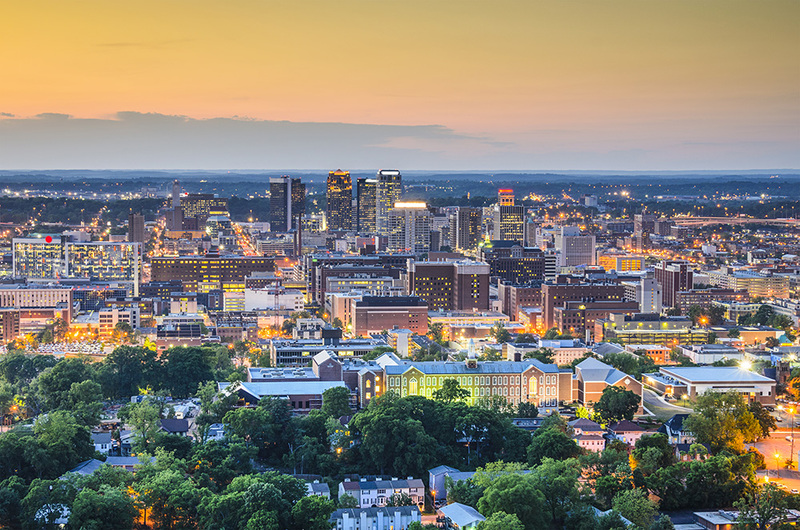 The routes leading to the Vulcan Statue, the Birmingham Zoo, the Birmingham Botanical Gardens, Kelly Ingram Park, and The Summit provide many opportunities for billboard advertising. Some of the most notable options are along I-20, I-22, I-59, and I-65. Since Birmingham also has bus, trolley, and transit systems, BillboardsIn can help you to locate optimal options for bus advertising, transit advertising, and digital advertising. Additionally, there are even incredible choices for cinema advertising in Birmingham. Select a type of advertising below. Or, use BillboardsIn and their access to the largest database of outdoor advertising vendors in the United States to start searching for your next ad campaign in Birmingham.